The most important thing in creating your own world of dance is that it’s your own. Your own perspectives, your own criteria, your own processes–no one else’s. Your unique journey. Step to Success: A step to your success is anything that moves your life and your business forward. Whether it’s an app, a book or an idea, you can apply something today that can help you succeed. Today’s step to success is taking some time to write out what your perfect day would look like, from the time you get up. Don’t limit yourself on your current circumstances or what you think is realistic. The song “Perfect Day” from the Legally Blonde movie reminded me of this exercise. Freestyle Flow: Two out of comfort zone experiences get two different reactions. Lol! Feature Presentation: The world of dance is yours to design. 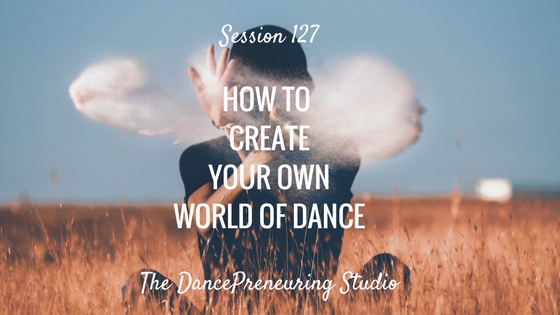 In this session, I take the criteria used by the judges from the popular competition show, and guide you through some simple questions that you can apply to dance, life and business.